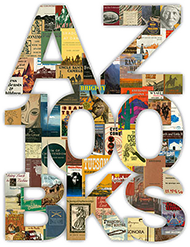 Henry, Marguerite , “Brighty of the Grand Canyon ,” Arizona 100: Essential Books for the Centennial, accessed April 21, 2019, http://speccoll.library.arizona.edu/online-exhibits-dynamic/az100/items/show/206. 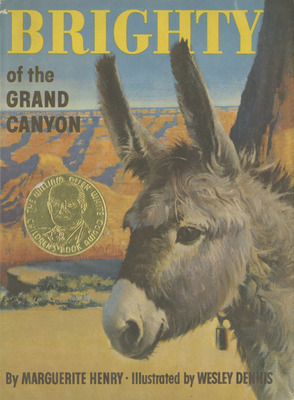 Brighty was a real burro abandoned at the mouth of Bright Angel Creek and adopted as a pet by Uncle Jim Owens. Prolific author Marguerite Henry (1902-1997) made the burro famous with this children’s book, as young Jimmy Owen and his endearing pet mule have many adventures and solve several mysteries together. Chicago : Rand McNally, 1953. 222 p. illus. 25 cm.